Building of luxury passenger vessels as a subcontractor to MEYER WERFT GmbH, Papenburg, Germany – assembling and welding of blocks, blasting and painting, pipe works, ventilation, insulation. France – pipe works, ventilation. Building of Oil Spill Recovery Vessel for Kuwait Oil Company i.e. from the initial stage of designing to the final stage of delivery. The functionality solution was based on innovative technological plans designed by Slickbar Company, located in Miami, USA. Completion of a purse seiner / trawler for Lie Invest Sotra AS of Norway in Fitjar Mekaniske Verksted AS, Fitjar, Norway. 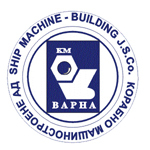 Hatch covers type “Folding” according to orders by MacGregor and Volharding – Holland,made in Ship Machine-Building JSCo, Varna, Bulgaria. Eight sets, 280 tons of steel construction each set, total 2300 t of steel construction. Production of hulls for two multi-purpose supply vessels and three purse seiners/trawlers according to orders by Myclebust, DOF Industri AS and Lie Invest Sotra AS from Norway. Production of superstructure of offshore platform for Caspian sea according to order of Progeco – Italy. Performance of steel structure, pipe lines, electrical system, insulation, ventilation, carpenter’s works and furnishing. Conversion of passenger vessel Ocean Monarch and 3 vessels type Ro-Ro in Ship Repair Yard “Odessos”, Varna, Bulgaria. New accommodation for restaurants, galley, passenger cabins. Performance of pipe lines, electrical systems, carpenter’s works and furnishing, insulation and ventilation. Buiding of luxury vessels – 2 barges of type “ Dutch Barges”- for an English shipowner. 12,000 DWT Chemical Product Carrier – complete build of the hull together with the superstructure in Burgas Shipyards, Burgas, Bulgaria. Production and mounting of all pipe lines including stainless steel and hydraulic pipe lines with automation. Approximately 3,200 tons of hull steel construction and 150 tons pipe lines. Conversion of 23,000 DWT bulk carrier having completely burnt superstructure with some other damage in Ship Repair Yard “Odessos”, Varna, Bulgaria. Performance of removal of old superstructure, production of new superstructure and total modernization of the vessel, in compliance with the strictest international requirements. Approximately 500 tons of hull steel construction and complete outfitting (pipe lines, electrical system, ventilation, insulation, carpenter’s work). Blasting and painting. Conversion of three 15,000 DWT cargo carriers, tween deck type, into container vessels for 919 TEU in Ship Repair Yard “Odessos”, Varna, Bulgaria. Mounting of bow thruster, increasing of superstructure height by two decks, outfitting the entire structure with complex equipment, and performing of complete modernization. Approximately 1,500 tons of hull steel construction per ship; total 4,500 tons, complete outfitting, (pipe lines, electrical system, ventilation, insulation, carpenter’s work). Blasting and painting. Ship repairs in Kuwait Shipbuilding and Repair Yard – From 1997 to 2008 repair works to different type of vessels, including steel, pipes, insulation, mechanic, electric, blasting and painting works.